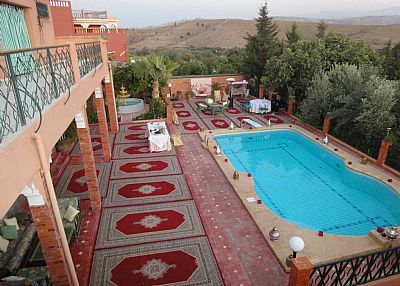 Moroccan villas Holidays Sight-Seeing Tours in Morocco. Marrakech is berber origin and more africaan than arab. It has been the country’s capital on two occasions. Riad Lyla This property has agreed to be part of our Preferred Property programme which groups together properties that stand out thanks to their excellent service and quality/price ratio with competitive prices. Participation in the programme requires meeting a specific set of criteria and takes into account feedback from previous guests. Number ten, Menara Gardens. Marrakech Morocco is known for its historic architecture and hospitality. Menara Gardens established hundreds of years ago are a great reflections of this city's beauty. Number eight, Marrakech Morocco Gates. There are many striking gates along the city walls and palaces that have protected the city in the past. Number six in , Marrakech Morocco Museum. Located inside a former gorgeous palace, which is remarkably well preserved, the museum houses traditional and contemporary Moroccan art. Number five, in Marrakech Morocco carpets. Morocco Moroccan carpets are considered to be the finest in the world. If you have time for shopping, be sure to explore one of the many carpet shops in the city. Number three in Marrakech Morocco, Koutoubia Mosque. This is the largest and most famous mosque in Marrakech City. Constructed in the 12th century, this stunning landmark dominates the city skyline. Number two in Marrakech Morocco, El Bahia Palace. This beautiful palace was constructed in the 19th century. Intricate artwork can be witnessed outside as well as throughout the interiors of the former palace. And number one,in Marrakech Morocco Djemaa El Fna. It's the main square of city's medina, the 11th century historic area that is on the UNESCO World Heritage list. At any given night, it has a grand festival feel. Marrakech Morocco is berber origin and more africaan than arab. It has been the country’s capital on two occasions. 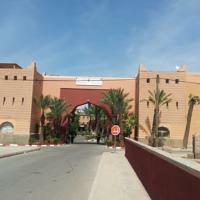 Firstly when it was founded in the 11th century by Berber Muslim tribesmen, the Almoravids and again, in the 16th century, during the Saadians dynasty. 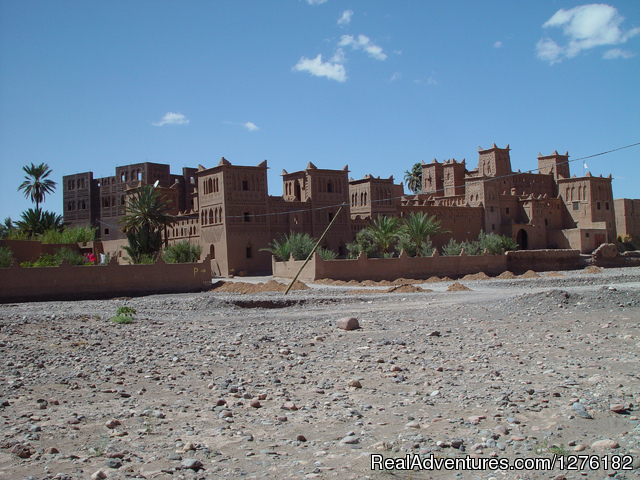 The city was built by the Almoravid leader, Youssef Ben Tachfine, who chose it as a place to pitch camp based on its location on a warm plain protected from the Saharan winds by the mountains. He immediately constructed a Kasbah and a mosque and to overcome the water shortage, planted pipes (khetara) made out of baked mud in the ground, to carry water into the city, from the High atlas, still in evidence around the Palmeraie just outside the city. When Youssef died, his son, Ali succeeded him and built the city’s original ramparts. In 1147, after many battles, Marrakech eventually fell to the vehemently religious, Almoravids who became the next dynasty. After demolishing many of the Almoravids main monuments, the Almohads rebuilt Marrakech adding such relics as the Koutoubia mosque, which had to be rebuilt 50 years later as the previous one was not completely in the line with Mecca, the El Mansour mosque and Bab Agnaou, the gateway to the Kasbah, all of which are still very much in existence today. The Marrakech of today is basking in the glory of yet another heyday. Home to some of the world’s most beautiful gardens, hotels, houses and monuments, resided in by some the world’s most famous designers, writers, artists and entrepreneurs, host to the glamorous International Film festival and recipient of over one-third of all visitors to the country, a figure set to rise in line with vision 2010. It is a city of noise, entertainment and color that thrives on attention and appears to blossom the busier it gets. From the snake charmers, storytellers and acrobats of Jemaa el Fna (see below) to the hustling, playful chitchat in the souks, the honking horns on Avenue Mohammed V, the dashing bursts of bougainvillea and the art galleries, exhibitions and boutiques, it is a city where the old and new seamlessly join and you feel as comfortable on the black of a braying mule as you do in the front of a polished 4x4. Once recommended by Winston Churchill as having the air to cure bronchitis, it is now one of Morocco’s most polluted cities where every road is a traffic jam and the smell of fumes, overpowering. Despite this, investment in Marrakech is soaring. The combination of a young, forward thinking monarch and a highly effective regional governor Mohammed Hassad has done much to improve the quality of life in the city. Social housing projects are underway to get the city’s poorest out of the shantytowns, the bureaucracy, notorious for impeding investment and entreneurialism has been hacked down to manageable sized chunks and touts who harass foreigners are at risk of arrest by heavy-handed tourist police. The main investors are the French many of whom still feel they have something of a hold over the city and, expatriate Moroccans looking for a project they can sink their hard earned foreign currency into. The last five years, though, have seen a sharp growth in the number of British people buying property in Marrakech either as second homes, guesthouses or holiday lets. Marrakech Morocco is situated on the northwestern corner of Africa, Marrakech Morocco is bordered with Algeria to the east and southeast, Mauritania to the south and to the west by the Atlantic Ocean. The country is divided into three natural regions; the fertile northern coastal plaint along the Mediterranean which contains Er Rif, mountains varying in elevation up to about 8,000 ft; the rich plateaus and lowlands lying between the rugged Atlas mountains, which extend in three parallel ranges from the Atlantic coast in the southwest to Algeria and the Mediterranean in the northeast; and the semiarid area in southern and eastern Marrakech Morocco, which merges into the Sahara Desert, The Atlas Mountains, with an average elevation of 11,000 ft, contain some of the highest peaks of North Africa, including Mt. Toubkal (13,665 ft), the highest of all. South of the Atlas lie the Anti-Atlas Mountains, with volcanic Mt. Siroua (10,000 ft). 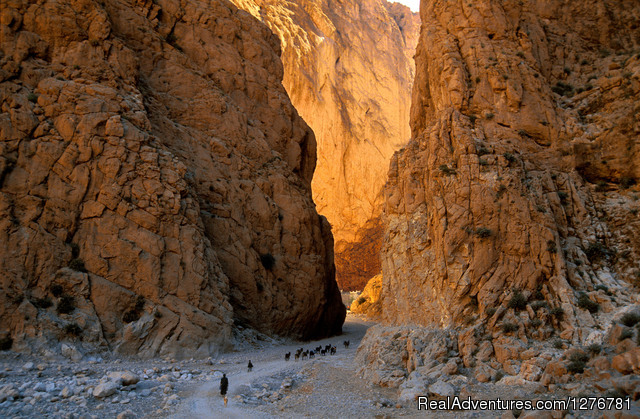 Marrakech Morocco has the most extensive river system in North Africa. Marrakech Moroccan rivers generally flow northwestward to the Atlantic or southeastward toward the Sahara; the Moulouya is an exception, and flows 350 miles north-eastwards from the Atlas to the Mediterranean. Principal rivers with outlets in the Atlantic are the Oumer River, Sebou, Bou Regreg, Tensift, Draa and Sous. The Ziz and Gheris are the main rivers flowing southward towards the Sahara. Marrakech Morocco has a subtropical climate, tempered by oceanic influences that give the coastal regions moderate temperatures. Toward the interior, winters are colder and summers warmer, a more continental climate. At high altitudes temperatures of less than -17.8° C (0° F) are not uncommon, and mountain peaks are covered with snow during most of the year. Rain falls mainly between November and April. Precipitation is heaviest in the northwest and lightest in the east and south. The last few years there almost has been no rain in the south and east of Marrakech Morocco.